Wow, it has been almost a year since our last post! Good news is, we have been hard at work on fun projects to share with you! 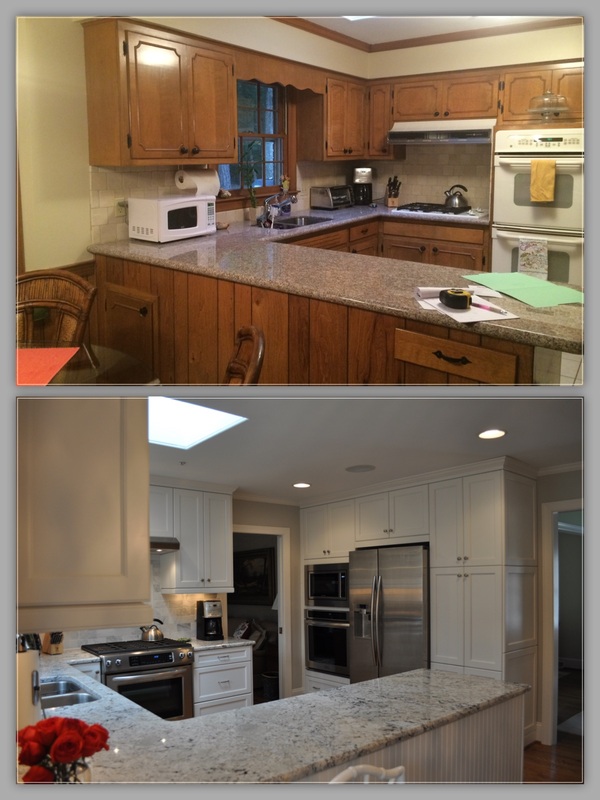 Here are a few before/after pics from a recent kitchen remodel. The style of this dated kitchen may look familiar to many of you in our area! We are absolutely loving the bright, fresh look of the new space! Cabinetry is painted white from Kitchen Craft, granite is White Delicatus, and the tile backsplash is a natural marble. 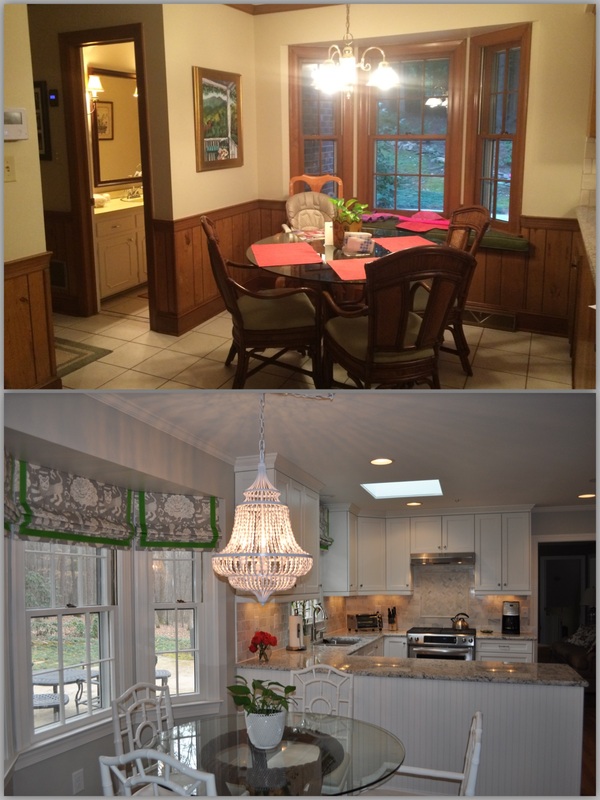 The homeowner’s window treatments and light fixture complete the look! For more pictures of this project (and plenty of others!) please check out our Houzz page! *The designer on this project was Lisa Jones. You can find more from Lisa here.